Eggs in a nest! Shredded baked potatoes gently patted into a mini tart pan, then baked until a crust forms. Add cooked scrambled eggs, top with some cheese and you have Eggs in a Nest! Whether you’re serving a small crowd or large group, these nests are a great addition to an Easter brunch!! 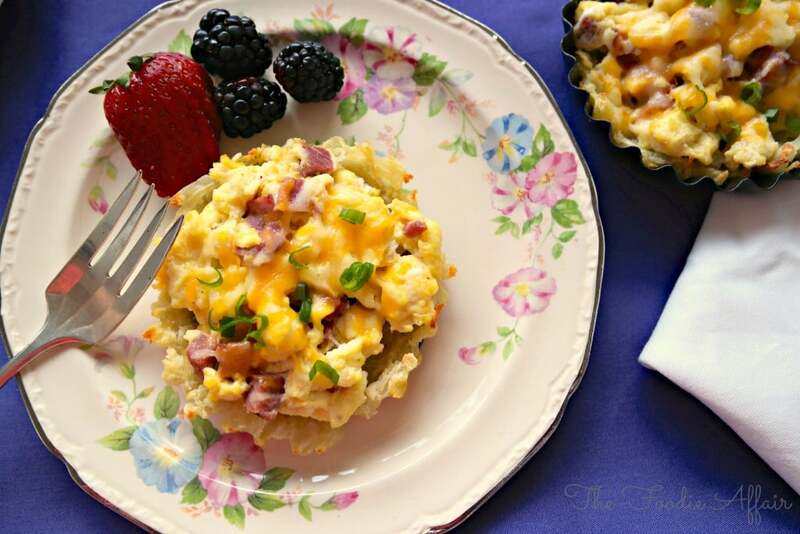 Potato crust, then filled with scrambled eggs and any other goodies you might want to add! There are so many variations of Egg in a Nest. In fact, what my family has been calling Egg in a Hole, some call Egg in a Nest. If you do a search on Pinterest, you’ll know what I’m talking about. But WAIT; don’t go check it out now!! You’ll get sucked into the Pinterest-kingdom spell, and won’t be back here for at least an hour! I cooked the nests in my mini tart pans that I got as a birthday present back in October. Shallower than the shape of a muffin, but just as cute! The tart pans have removable disks on the bottom, so it makes it super easy to pop them out of the tins after they’re cooked. Are you imagining delicately eating this while sipping on some tea or a mimosas?! These are definitely lovely for a special occasion, but don’t feel shy about picking them up with your fingers like my son did. Add a few dashes of Tapatilo hot sauce and enjoy! 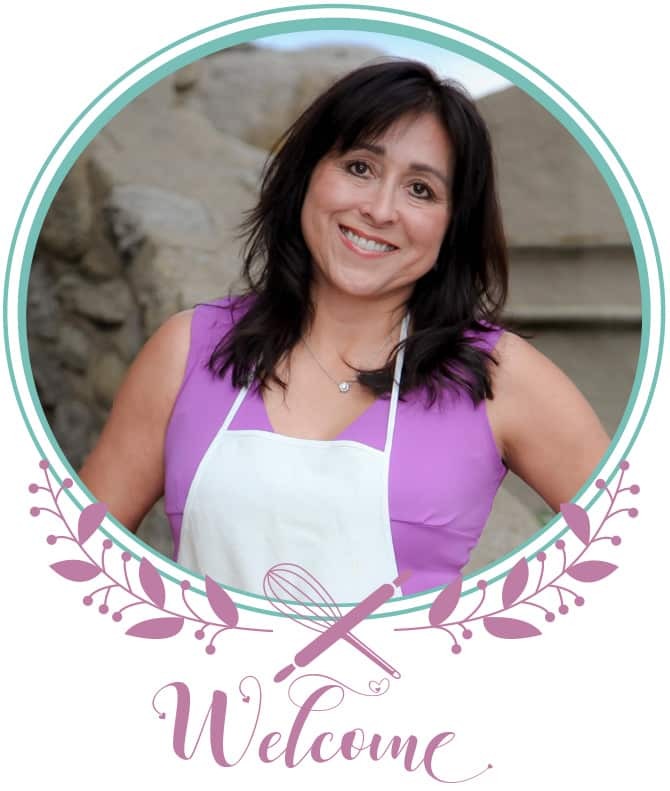 I adapted my recipe from my friend, Ree, the blogger behind The Pioneer Woman. 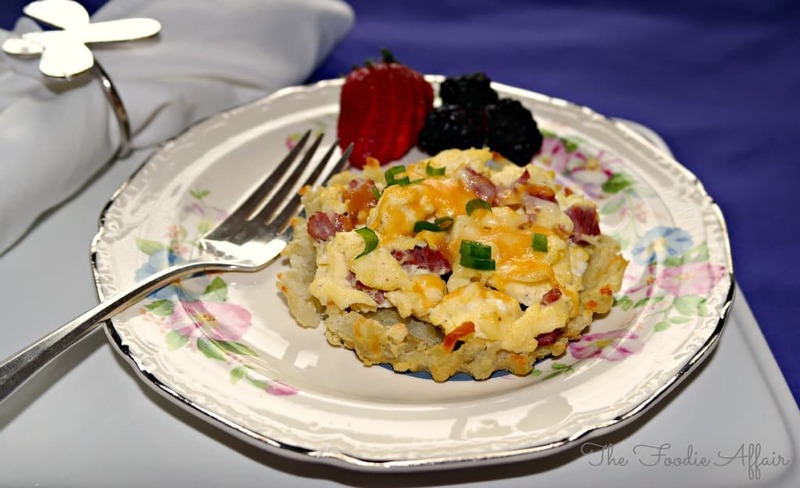 Her Egg in Hash Brown Nest recipe is awesome! 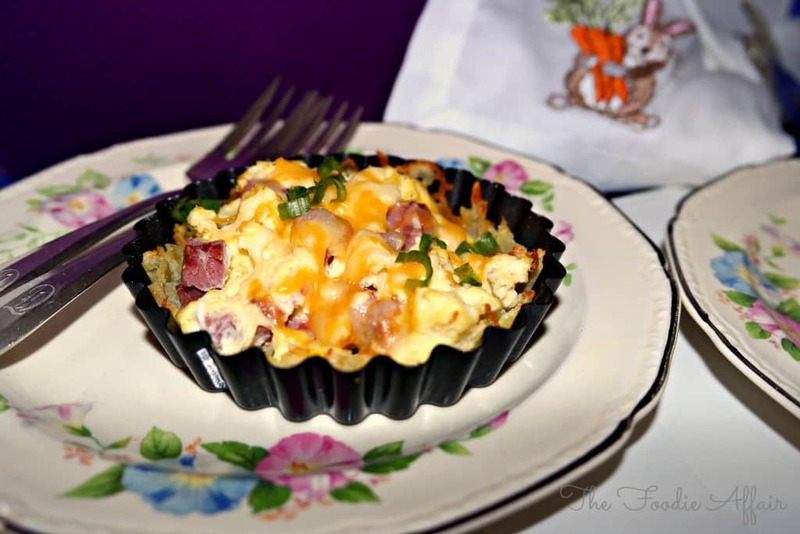 I shared this recipe over at Life Current’s Easter Saturday Dishes Link Party! Shredded baked potatoes gently patted into a mini tart pan, then baked until a crust forms. 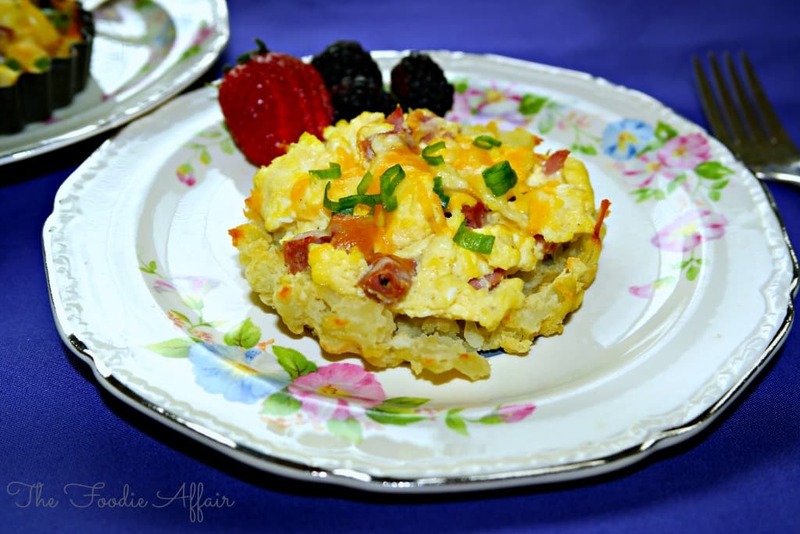 Add cooked scrambled eggs, top with some cheese for a delicious brunch entree. Preheat oven to 400 degrees. With cooking spray, lightly coat the tart pans (or muffin tin). Bake the potato in the oven until it's partially cooked, about 25-30 minutes and let cool (you don't want it mushy otherwise it won't shred nicely). Remove skin with a paring knife and using the large holed grate, shred potato. Put about 2 tablespoons of shredded potato on the bottom of each tart pan and gently pat into place forming the crust. Brush a light coat of olive oil on top of the potatoes and sprinkle with salt and pepper. Bake for 15 minutes. Turn up the heat to 425 degrees the last 5-7 minutes if they aren't turning light brown. Remove from the oven. Whisk eggs, and milk together, and pour egg mixture into a greased large skillet on medium heat. Cook for about 2 minutes and sprinkle with salt and pepper. As the eggs begin to form, fold in meat. Once cooked, remove from heat and add to prepared potato nests. Top with cheese and return to the oven until the cheese melts (about 4-5 minutes). Garnish with green onions. If you use a muffin tin to mold the nests, you may need an additional potato to fill the tins. G’day! looks like a fun breakfast food for children of all ages Sandra! Little and big fingers can pick these up for sure! Thanks, stopping by Joanne! yummers! I’d love to have this for breakfast for Easter! Heck, I’d love to have this any day! 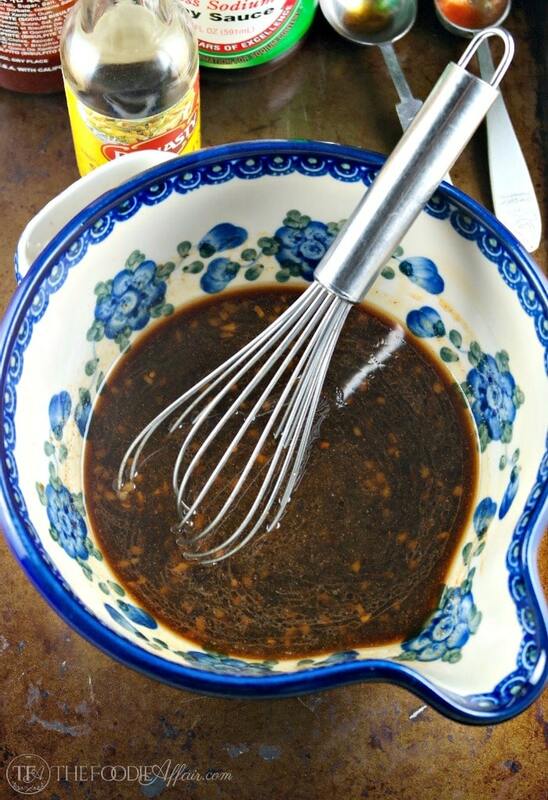 Thanks for sharing at the Saturday Dishes Linky! Hello Sandra, love your little eggs in a nest. 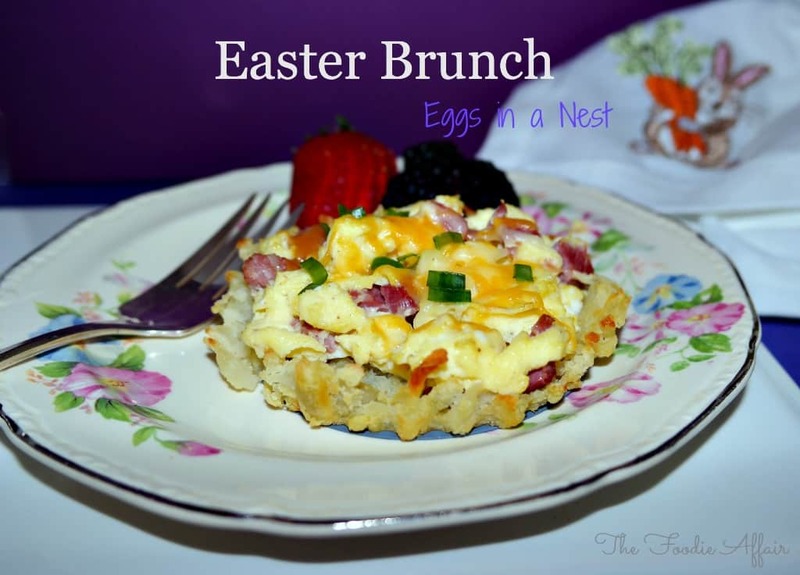 This is not just for Easter but a great breakfast and brunch idea all year around. I make something very similar to this and just change up my additions and these freeze great so in the am when everyone is still foggy brained we can zap it in the microwave and ready to go. I just love Ree too she is so down to earth and her posts are always so fun. Love this idea! The “nest” sounds amazing and I bet with the eggs they are delicious. Thanks for sharing at Saturday Dishes! Pinning! Thank you, Lucy! We sure enjoyed this meal!